For many years the Oregon Christian Writers Summer Conference was the only conference that I attended. These last few years I regularly attend more events, but OCW is the one where I feel most at home. I have friends here. Don’t misunderstand me; this is not some small gathering of casual writers. A few years ago I was eating lunch in the main hall and Frank Peretti asked to sit at my table. I can’t remember what I ate, but I’ll never forget our conversation about his books and writing in general. After the awards dinner, I hurried out hoping to congratulate my two friends and nearly ran into Randy Ingermanson. I didn’t even know he was there. Every year during the coaching sessions and workshops, I learn things and while that’s important it isn’t why I come back. I’m not sure how something this large can feel so comfortable, but it does, and that keeps me coming back. My wife received a call today from someone wanting to talk to Kyle Pratt, the author of The Scary Snow Day. Confused, she told them that, while Kyle Pratt is an author, The Scary Snow Day was not one of his books. Apparently, the name issue is confusing others who look at Scary Snow Day and then my books. When I got home she told me about the call and my son looked up the title on Amazon. It seems Kyle Derby Pratt is the author of The Scary Snow Day. My full name is Kyle Douglas Pratt so; we are both Kyle D. Pratt. We looked for Kyle Derby’s profile on Amazon but didn’t find one. My wife bought The Scary Snow Day, a children’s book, and while I attended my second meeting of the day, she read and enjoyed the story. That evening I read it. While the story is certainly not my genre the author has talent. I’ve always thought of my name as rather uncommon but, in 2005, Jodie Foster played a character named Kyle Pratt in the movie Flightplan. Before that movie, I never thought of Kyle as a girl’s name. Then, in 2014, while working in Alaska, I meet another Kyle Pratt. Imagine meeting someone with your name while in a remote Alaskan village. In addition to our name we had several other weird coincidences. So, perhaps my name isn’t as uncommon as I thought. Still, it would be fun to meet Kyle Derby Pratt. Maybe we could have a picture taken with each of us holding one of our books. Kyle, if you read this, send me an email. I don’t like contests or competitions. From spelling bees, science fairs, and athletic events in school, I entered only when required and usually lost. Two years ago, an author friend of mine, Lisa Brunette, won the Book Readers Appreciation Group medallion for her book, Framed and Burning. She had won earlier for Cat in the Flock and, as we talked about her writing, she encouraged me to enter the competition. .
Because of my aversion to such events, I kept putting it off. However, I knew when I finished writing my most recent novel, Through the Storm, that I had a winner. In the novel, Neal Evans is in Nevada when he hears that an immense coronal mass ejection will soon slam into the Earth’s magnetosphere. Will it cause only beautiful auroras to dance across the night sky or will it throw technology back a hundred years? Politicians and scientists are still debating when Neal decides to act. As night falls, he has ten hours to drive home before the first CME strikes. His son, Drake, is a happy high school freshman. Conner, his older brother, has gone hunting, instead of watching over him while their father is away at the conference. So now it’s party time! Through the Storm was released in September of 2017 and finally in March of this year I entered the competition. 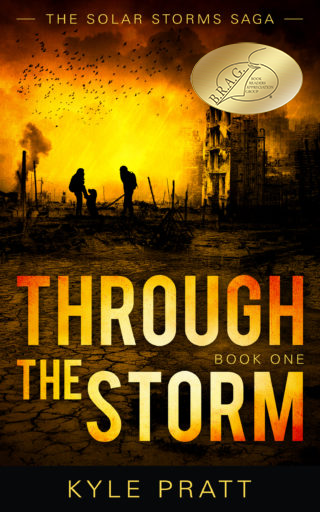 Earlier this week I received a email from Geraldine Clouston, the president of IndieBRAG LLC, stating that my novel Through the Storm had been selected to receive a B.R.A.G. Medallion. Yesterday, I received the formal notification. I can’t say that I enjoy contests, but I’m glad I entered this one. I’m old enough to remember the Apollo 11 moon landing. I was in middle school at the time and my family lived in rural Colorado. Cable TV didn’t exist in my area and there was no such thing as satellite TV, so we did without. Very early on the morning of Sunday, July 20, 1969, my father woke me up and together we drove down out of the mountains to my seventy-three-year-old grandmother’s home in Denver. Later that morning we sat in her living room and watched the moon landing on her small black and white television. During the broadcast, I glanced over at my grandmother. 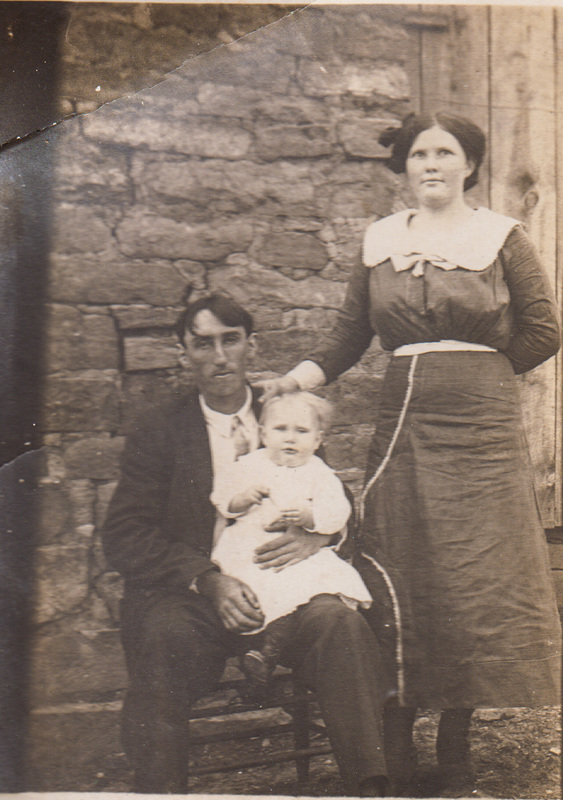 I recalled her telling me that she homesteaded land in Arkansas with my grandfather when she was twenty years old. Years later my grandfather moved to Kansas to look for work. When he had a job he sent word and she drove a covered wagon with their possessions and children to join him. Now, near the end of her life, she watched people walk on the moon. What an incredible life of progress, adventure, and marvel. But I never asked her to tell me her stories. Recently, I joined a genealogy group at my Assemblies of God church. These last few weeks I’ve been trying to reconstruct her life, along with many others that have now passed on. Each of them might have told me so much. I was young, shy and I did ask a few questions, but I could have asked so many more. I Guess I’m just old-fashioned. In an age where saying “Merry Christmas” is considered a political act, and Christmas for many is just the holiday after Black Friday, I still enjoy this time with my family, a real Christmas tree and candlelight in church and home. My son, Robert with his fiancee, Carol. In the middle is my son James and on the right is my wife Lorraine. I'm the old guy in the back. Where we live, in the Pacific Northwest, we often don’t have snow on Christmas, but it is cold. This is a time to stay inside, read a good book or the good book, and put another log on the fire, but most of all this is the to remember and reflect upon the birth of Christ. The day after Christmas I’ll be back at my desk writing, but between now and then I’m taking as much time as possible to be with family and friends. For all of my readers, I wish a very Merry Christmas and blessings in the New Year. Click on the following links to read my author bio, or to read more about my faith. I may never win NaNoWriMo, but I enjoy taking part. During the month of November, several hundred thousand people worldwide take part in National Novel Writing Month or simply, NaNoWriMo. The annual writing event started in 1999, but I didn’t hear of it until about eight years ago. That year I joined with others and started typing away at midnight of November first. A bleary four hours later I went home. I typed at home and went to other NaNoWriMo events, but never finished the 50,000 story required to be a “winner” of the event. Freelance writer Chris Baty created NaNoWriMo in 1999. That first year the event was held in July, but the next year it moved to November “to more fully take advantage of the miserable weather.” Living in the Pacific Northwest I totally understand miserable November weather. In November 2007, NaNoWriMo organization hosted a fundraising Writing event they titled, “The Night of Writing Dangerously” in San Francisco. Like NaNoWriMo, this event has grown and today hundreds of writers attend, drink lots of coffee, socialize and write. 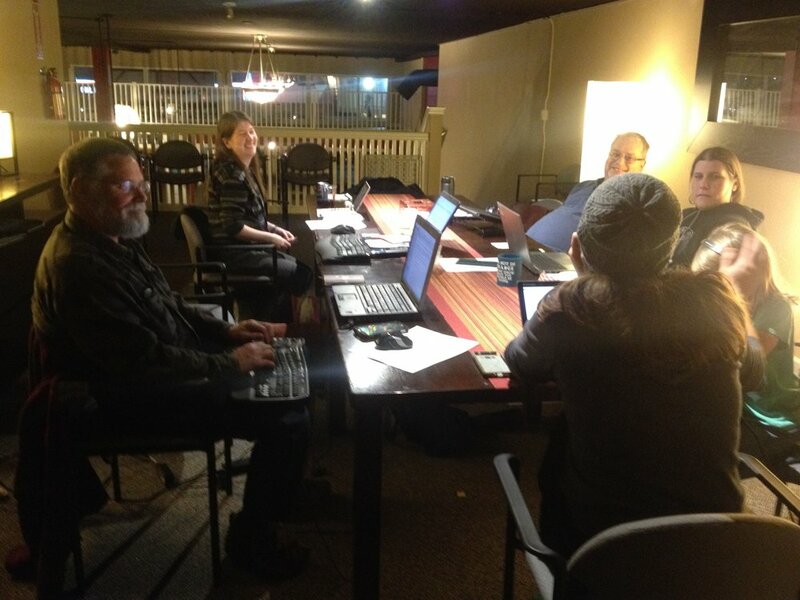 The pictures you see here are from a NaNoWriMo event held earlier this month by the Lewis County Writers Guild. The guild usually hosts at least one event during November and there are often more. Over these last few years I’ve realized I’m not a fast writer, but I enjoy writing and being with fellow writers. So I continue to take part, even if I never win. Click on the following links to read my author bio or read more about NaNoWriMo. I confirmed my position on the farm pecking order one morning a couple years ago. For my city readers, pecking order refers to birds, often chickens. They establish their rank in the flock by pecking on another bird, lower in the social order without fear of retaliation. The pecking order rank establishes who is boss and who gets what food and when. On this particular morning I rose from bed a few minutes late and stumbled out to the dining room. My breakfast of cereal waited for me on the table, but I couldn’t find my wife Lorraine. Finally, I sat and started eating. Then, the back door opened and she entered. “Where have you been?” I asked after another bite of cold cereal. That confirmed what I already suspected. When it comes to being pampered with food, my position in the pecking order is below every chicken. Okay, I admit that isn’t really true, Lorraine has cooked some fantastic meals for me, but she does take very good care of the chickens. They have a large area to roam and forage for food but, as you can tell from the picture (which my wife didn’t like, but after some pleading allowed me to use) she still gives “her girls” watermelon rinds and leftover grapes. If any bread or cake gets dry it doesn’t go into the trash or even the compost, they go straight to the chickens. They are a pampered bunch of birds. Click on the following links to read my author bio or read more about life on the farm. It usually surprises me when my local paper, The Chronicle, has a story that mentions me. I’m not complaining, they have written some really nice things about me. It’s just I rarely know when these articles will appear. I’ve sent them story ideas and even press releases and seen nothing in the paper and then suddenly something large and really nice like this full-page spread in the Life section will appear. Admittedly, this article, titled Southwest Washington Writers Conference Bringing the Region’s Writers Together, is not all about me, not even most of it, but my picture is there, above the fold. That kind of publicity is a good thing. The article is actually about the fourth annual Southwest Washington Writers Conference this Saturday, September 9th at the Walton Science Center on the campus of Centralia College. With the rise of Amazon, the advent of ebooks, the growth of audiobooks, and the steep decline of traditional bookstores, the role of authors has changed dramatically. I’ll conduct two workshops at the conference on how authors can exploit those changes through indie publishing. If you’re in the area I hope to see you there. What is it about an eclipse that brings out the child in us? I know it was a rare event, the last one like it occurred in 1918, but several of my friends traveled hundreds of miles and camped out in farm fields just to experience the eclipse totality. We read in the local paper that the recent solar eclipse would reach ninety-six percent of totality in this area so; I purchased dorky glasses and invited our sons over to watch from the backyard. If I made a habit of sitting in the backyard, wearing paper sunglasses and staring up into the sky I think my wife might have my head examined, but on this day she joined me, along with the boys, and we looked like a rather eccentric family having a backyard picnic. At first, as the moon moved across the sun, we didn’t notice any change. Even when half of the sun had been blocked we couldn’t tell any difference in the day. Only when the moon blocked the vast majority of the sun did the sky take on the deep blue of evening. As we continued to watch a cool breeze blew. Still, it amazed me that with ninety-six percent of the sun blocked, it wasn’t even close to dark. Then the moon moved out of the way, and the hot and bright summer sun shone once again and we returned to the house. What am I going to do with the dorky glasses? Click on the following links to read my author bio, life in Lewis County or more about my life on the farm. I put on a new chain, filled the gas and oil tanks and went out with my chainsaw to tackle a large pile of logs and limbs in the backyard. My tendency to procrastinate had allowed the pile to grow all summer, but my son James had offered to help and this needed to be done. So, on one of the hottest days of the year, I cut wood to use on some of the coldest. We will probably burn these logs in the woodstove around January or February. Our house has electric heat and in the Pacific Northwest electricity is affordable, but on those really cold days, the woodstove heats our home better than anything else does. There is a natural rhythm to life in the country. In March as the days grow longer and warmer the chickens go into full summer egg production. In April we hive bees. In May the garden is tilled and planted. During the summer we cut trees (usually the dead or fallen), tend animals and care for the garden. Honey is spun from the honeycomb in September. Also during that month fruits and vegetables are canned and preserved. Part of that natural rhythm is the cold of January and February. Some years our woodstove will burn for days on end during this time. By late in the afternoon the chain on the saw had gone dull, but the pile had been reduced to logs and hauled into the woodshed. We were hot and tired, but ready for the cold days of winter. As I drank a tall glass of cold water I made a pledge to myself. Next year I’m going to cut wood on a cooler day. I decided to build a patio on a shady knoll beside my home. However, due to my writing schedule and other commitments, it took a couple of months to gather all the materials and find the time to construct it. Finally, on the evening of July 2nd, I had everything I needed. After breakfast the next morning I began construction. It occurred to me that it would be nice if the family could use the patio on Independence Day, but that would mean all the work had to be completed that day. I worked hard, very hard, on July 3rd. July 4th was a lovely warm day here in the northwest. The blue skies were welcome after a long rainy winter and spring. Also, as you can see from the picture, my family and I did enjoy the patio. My relaxation that day was tempered by many stiff and sore muscles. I’m sure I’ll enjoy the patio even more after I’ve recovered from building it. We had a week of cold and snow on the farm. I like to keep two colonies, but one colony had died last year. I hurried to my one remaining colony. Bees are very clean and will not defecate in the hive. So, on mild winter days they fly out to take care of business. As I approached it was clear no bees were busy doing business. I put my ear to the hive. No buzzing. At that point I opened the hive. Thousands of bees were there in a tight cluster—all dead. Since I see each colony as being in my care, it really saddens me if one dies. I feel there is always something more I could have, or should have, done. After a few days of mourning, I’ll clean out the hive boxes and order two more colonies of Carniolan honey bees through my local bee association. Hopefully, next winter will be mild. Click on the following links to read my author bio or read more about my life on the farm. As I gazed at three recently taken pictures it occurred to me that each had something to say about where and how I live. Kyle Pratt, and friend Pat, standing in the road. The first picture is of my friend Pat and me (blue shirt) standing in the middle of the dirt road that passes in front of his house. We were waiting for a friend who had never been there before and the road seemed like a good place to keep an eye out for her. During the nearly ten minutes we stood there her car was the only vehicle that came along. Kyle Pratt in his backyard. It doesn’t often snow here, but when it does it’s time to get the camera out. My wife Lorraine took this picture of me in the backyard. For many years I lived on military bases and suburban communities and my backyard looked pretty normal for those areas, small with mostly grass and some flowers. In this picture an apple tree obscures the view of the hen house behind it. The apiary is hidden by more trees and a blind. The greenhouse is out of the frame to my right and additional fruit trees are off to the left, but my backyard still looks pretty normal—for this area. One of my summer jobs is filling the wood shed (also in the backyard) with an ample supply of logs. I do this gradually as I clear trees that have grown to close, are dead or have fallen during windstorms. The recent snow arrived with arctic cold and was the first time this season we fired up the woodstove. We could use the electric heaters to keep the house comfortable, but we’ve learned that the woodstove actually keeps the house warmer and, since all the wood comes from our property, it costs us very little. They say that a picture is worth a thousand words and perhaps I could write more, but I think these three photos say a great deal about the way I choose to live my life. I wouldn’t change any of it. This year’s Southwest Washington Writers Conference is over and we’re already being asked if there will be one next year. As some of you know I’ve been involved in the planning of this conference from the start and this year, like those past, it did well. The organizing committee quickly decided to proceed with the fourth annual conference. Preliminary planning will begin soon. If you’re interested in attending the conference next year, the best way to stay informed is to sign up for the Southwest Washington Writers Conference newsletter. Since I blogged about this past conference in the This is my Cookie post, I’ve received many more pictures. Some very nice pictures were taken of me, and I didn’t even know it had happened. I can’t show them all, but decided to share a few more in this post. If you were there, let me know what you thought of the conference and, if you have pictures from any of the previous Southwest Washington conferences, send them also. This has been my best year ever. Since I released my debut novel, Titan Encounter, in 2012, my book sales have grown each year, but this year has been exceptional. With more than a third of the year remaining, my sales have already exceeded those of 2015. When I released Titan Encounter I was a novice writer with a minimal website and no mailing list. While the novel received good reviews, sales were slow. 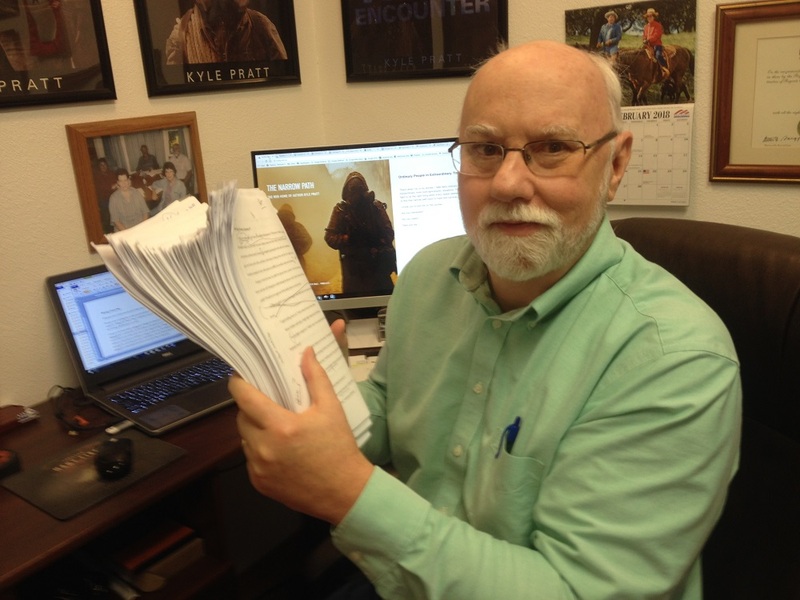 In August of 2013 I released Through Many Fires, and readers loved it. However, I still had only a basic website and no mailing list. When sales continued to be strong beyond the opening month, I talked with my wife, Lorraine, about quitting my job as a teacher and writing fulltime. It was a scary proposition. Typically, the sales for Through Many Fires would peak soon and then slowly decline. I had started writing the next book in the series, but it could bomb. Despite my fears, Lorraine encouraged me to write. So, I turned in my resignation with the end of the 2014 school year. Sales of Through Many Fires remained strong well into 2014 and, when sales did slow, the second book in the series, A Time to Endure, was ready for release. I've released other novels, novellas, novelettes, and short stories since then, and remain thrilled with how you have received them. Because of you, my readers, I have never regretted the decision to become a fulltime writer. Thank you, for everything, especially this incredible, year! A minor earthquake at 8:32 a.m. on Sunday, May 18, 1980, caused the bulging and weakened north side of Mount St. Helens to collapse into the largest landslide ever recorded. The gas, steam, lava, and pulverized rock that it exposed, exploded toward Spirit Lake. Then a column of ash rose 80,000 feet into the air. Our home at the time in Centralia. Notice the brown sky. I was twenty-five at the time and worked as an assistant manager at a drugstore in Centralia, less than seventy-five miles northwest, as the ash falls. But the winds were blowing east that day. Friends as far away as Indiana sent pictures of their cars covered with dust. Those of us in Centralia watched the awesome display of nature’s might from vantage points around town. As the day progressed we learned that entire forests near the volcano had been leveled, homes and bridges were swept away in the resulting flood and over fifty people died. But in Centralia that day, no ash fell. The following Sunday was when Mount St. Helens came to Centralia. At 2:30 a.m. the mountain erupted again. “Lorraine, do you have any windows open?” my mother asked. While Lorraine secured the house, I went outside. Standing on the covered porch with the lights off the darkness was so total I couldn’t see my hand in front of my face. With my foot I felt for the steps. It felt like snow falling on me. After a few steps onto the sidewalk, I returned to the house before getting lost. It was well after nine in the morning before there was enough light to take the pictures seen here. We escaped the worst of the mountain’s fury, but those of us who were there will never forget that May. I recently received great news about two of my writer friends. My friend Debby Lee was recently contacted by her agent about writing a 20,000 novella for a Barbour Publishing anthology. Barbour needed more writers for the project so Debby suggested our mutual friend Barbara Blakey. Both have now signed contracts to write novellas for the Hearts of the Pony Express Romance anthology. Debby is the author several books including Harvest of Hope and Butterflies are Free, along with numerous short stories. Her story in the anthology will be titled, Ride into my heart. Barbara is the author of Bertie’s War. Her novella will be titled, A Place to Belong. Over the next few months they’ll be preparing their stories for release next spring. I’m not sure why they didn’t think of asking me to write a sweet historical romance, but I’m thrilled for Debby and Barbara.